SAN DIEGO, Calif. (CBS 8) - An 11-year-old girl told police she was attacked by a man who attempted to kidnap her in City Heights Friday. According to SDUSD police, the girl was walking to Clark Middle School when the man grabbed her arm in the 3500 block of Fairmount Avenue just before 8 a.m. The girl was able to elbow the man and pull away from him, police said. 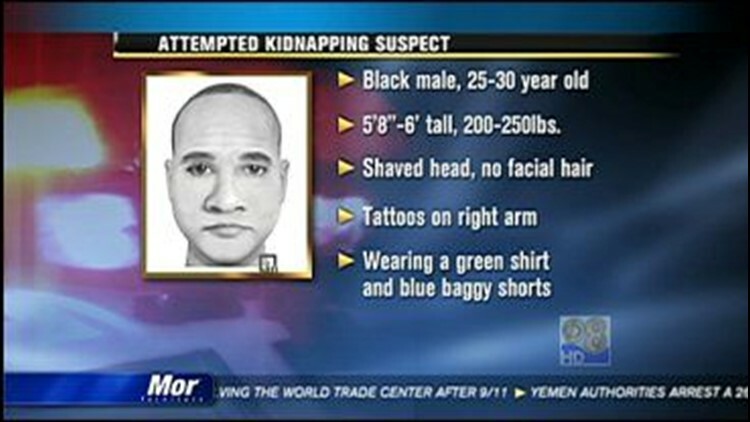 The suspect is described as a black man in his mid- to late 20s or early 30s, 5 feet 8 inches to 6 feet tall, 200 to 250 pounds with a shaved head and tattoos on his right arm. He was wearing baggy blue shorts and a green shirt at the time of the attack, according to the girl. Administrators used the school's automated phone system to notify more than 1,200 parents about today's attack.